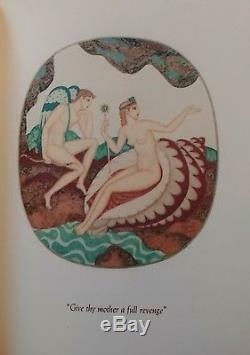 Dulac, Edmund (Illus) Apuleius, Lucius Retold By Walter Pater. Marriage of Cupid & Psyche. 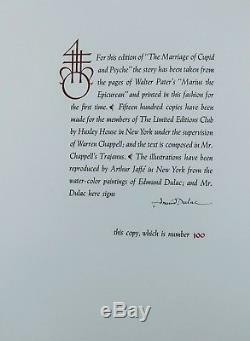 New York: Limited Editions Club, 1951. Near Fine / No Jacket. 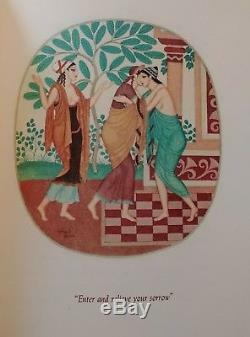 Cream vellum over boards, gilt stamped titling and design to cover, gilt titling on spine; slip case is present, darkened overall, silk pull was cut short at one time.. 6 exquisite color plates by Dulac, modeled after Ancient Greek bowls. Publisher's materials laid in. 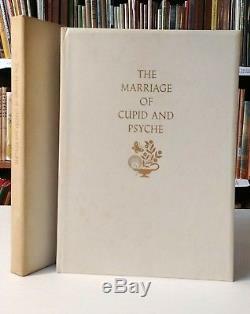 The item "Edmund Dulac MARRIAGE OF CUPID & PSYCHE, LEC, Signed Limited Edition" is in sale since Friday, August 3, 2018. This item is in the category "Books\Antiquarian & Collectible". The seller is "emmaurice2" and is located in Torrington, Connecticut. This item can be shipped worldwide.